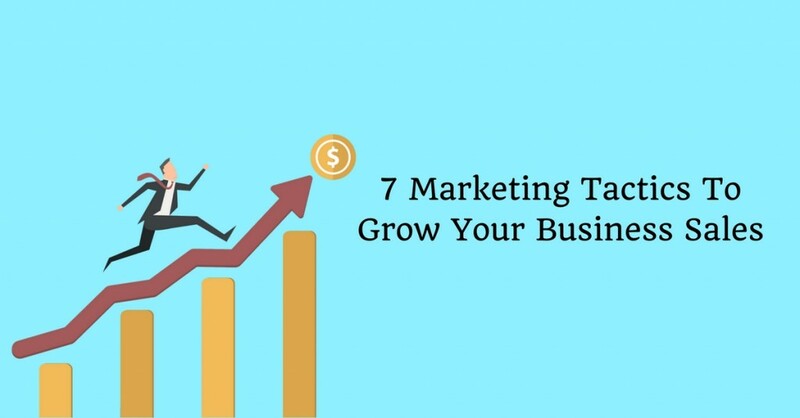 Growing business sales largely depends on marketing strategies and to set up a campaign that resonates with your business & captures attention of specific target audience takes a lot of effort. A marketing strategy should focus on developing profitable associations with customers and opens up new avenue for your business. Here are 7 marketing tactics you should know to skyrocket your sales. Whether you want a global reach or looking for immediate communication, email marketing is an apt strategy that gives you an opportunity to provide valuable content and build authority. A research indicates that 80% of professionals consider email marketing for customer acquisition and retention. Nearly 93% of all marketers consider content marketing to create, nurture, and grow a company’s customer base. It basically creates credibility that attracts ideal audience. It is known as an important tactic for optimization of websites helping you generate natural inbound links and improve website ranking. The most popular strategy to grow sales is implementing Facebook or PPC ads that helps business to connect with target audience interested in their products and services. Setting up ads is easy. All you have to do is think of a strategy, design a creative, set your targeting demographics, bidding amount and customize your fields. Though digital media has become a dominating marketing strategy, print is still considered beneficial for brands to set themselves apart from the competition. Print is worth your time and energy is you’re looking to create a lasting impression. A survey anticipates that print ads increase purchase intent by 24%. Want qualified leads for your business? Participating in events is the best way to accommodate your business goals. Joining conferences or awards functions will you achieve this objective. Nearly 45% of marketing professionals believe event management is the best option for increasing influence engagement, according a study revealed by eMarketer. Case studies, testimonials or reviews influence purchase decision of prospects, which can be proved from the fact that 63% of customers are more likely to make a purchase from a site which has user reviews. Testimonials should be authentic and feedback should directly come from the customers as that’s what makes them real. Using testimonials on the homepage of your website can be beneficial for your brand. A mix of both advertising and digital marketing will help you get positive results you’re looking for. However, the results may vary depending upon your brand and products, in addition, it may take certain time. Only consistent marketing efforts will definitely help to scale your business sales. Would you like to leverage any of these marketing tactics? Get in touch with us. Futurescape Advertising is one of the leading advertising and digital marketing companies in Navi Mumbai.